IF YOU'RE short of time but want colour and some architectural gems on your patio, you may be best off choosing perennials, flowering shrubs and evergreens when you plant up your summer containers. Here's our pick of five permanent plants for containers that will come back year after year. These are among the most colourful, rewarding climbers which can do well in pots given the right conditions. 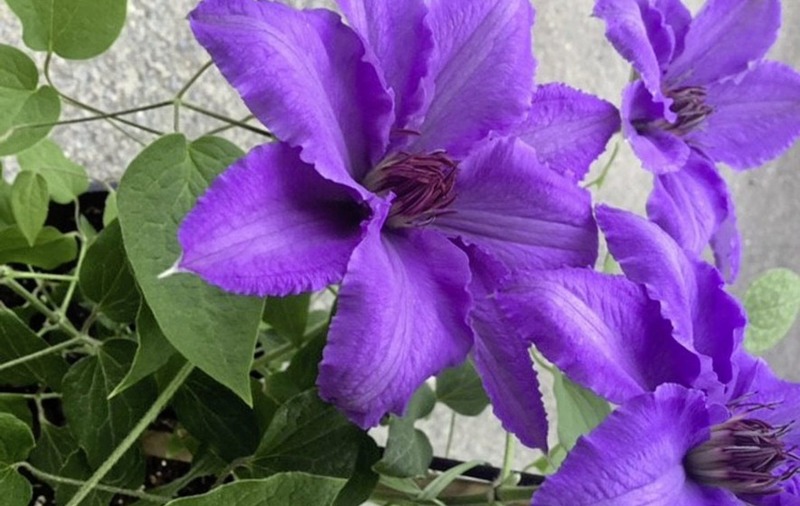 While some clematis grow to great heights, scaling walls and climbing over fences, there are other smaller and dwarf varieties that are bred with container planting in mind. 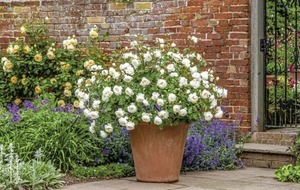 These include the Raymond Evison collection of compact cultivars, including C. 'Giselle'. Some compact large-flowered clematis have an extended flowering season, including the pale blue 'Cezanne' and the deeper blue 'Parisienne'. 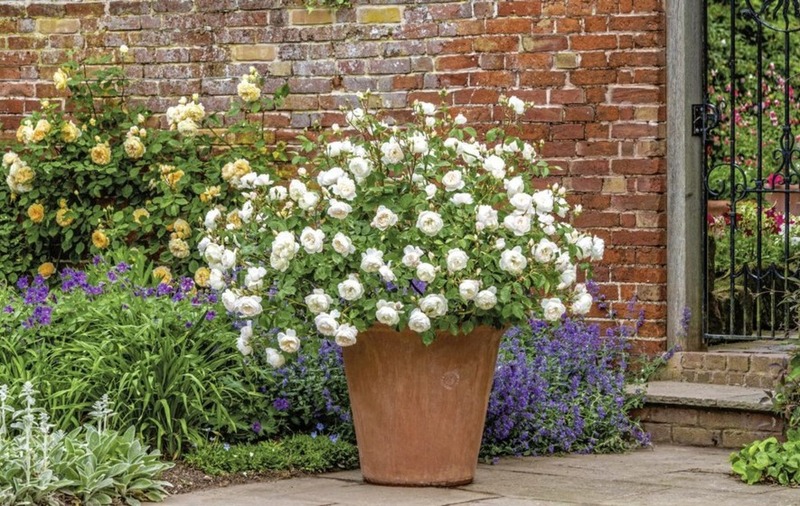 Compact shrub roses need to be planted in large pots, ideally 45cm (18in) across and 60cm (2ft) deep, in a 50:50 mix of John Innes No. 3 and multipurpose compost. Add some slow release fertiliser to the mix to give it a good start and keep it well watered. You shouldn't need to repot it for years, just top up the surface with fresh compost every spring. There are plenty of dwarf conifers available for pots, most notably the lemon-scented Monterey cypress, which will last for years in a pot. Using this type of plant to give height in a container also leaves you free to swap smaller more colourful plants as they finish flowering, just digging them out and replacing them with a summer flower, but leaving the conifer in place. For real structural effect, consider planting a dwarf acer (Japanese maple) in a pot. There are many smaller varieties available with an array of leaves ranging from acid yellow to burgundy and everything in-between. In autumn their colours intensify, providing you with stunning reds, yellows and purples for superb seasonal interest. Succulents including houseleeks (sempervivum) and sedum look terrific in shallower containers, adding interest with their floral structures and foliage colour, which ranges from silver to burgundy. They are also drought-tolerant, so won't need as much watering as everything else on a sunny patio, and many will withstand sub-zero temperatures.